In 2002, the Federal Register published Americans with Disabilities Act (ADA) guidelines pertaining to recreation. However, the guidelines did not cover outdoor facilities such as trails. On November 35, 2013 The Architectural and Transportation Barriers Compliance Board issued a rule that that amends the Architectural Barriers Act Accessibility Guidelines for Outdoor Developed Areas. The final rule ensures that camping facilities, picnic facilities, viewing areas trails and beach access routes constructed or altered by or on behalf of federal agencies, including the Department of Agriculture (Forest Service); Department of Defense (Army Corps of Engineers); and Department of the Interior (Bureau of Land Management, Bureau of Reclamation, Fish and Wildlife Service, National Park Service), be readily accessible to and usable by individuals with disabilities. However, the guidelines are not applicable to trails designated for another use, such as mountain biking or equestrian, whether or not pedestrians will be utilizing the trails. Way-finding signs for these types of trails are necessary. The guidelines also recognize that full compliance with the guidelines will frequently be limited by environmental constraints. 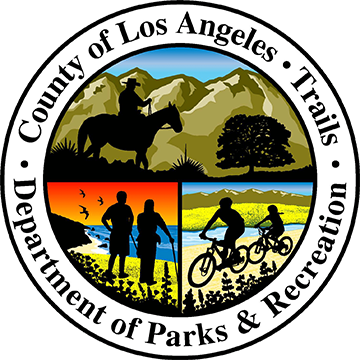 On March 15, 2011, the County of Los Angeles Department of Parks and Recreation established an interim policy that restates the County’s policy of non-discrimination for admission and access to publicly offered services, programs or activities on the basis of disability. The policy states: “A public entity that has determined that reasonable modifications can be made in its policies, practices, or procedures to allow the use of other power-driven mobility devices should develop a policy that clearly states the circumstances under which the use of other power-driven mobility devices by individuals with a mobility disability will be permitted. It also should include clear, concise statements of specific rules governing the operation of such devices. Finally, the public entity should endeavor to provide individuals with disabilities who use other power-driven mobility devices with advanced notice of its policy regarding the use of such devices and what rules apply to the operation of these devices.” The interim policy establishes that OPDMDs and electronic personal assistance mobility devices (EPAMD) may be used by those with mobility disabilities in areas open to pedestrian use for access to park facilities and/or trails. The interim policy will be finalized after review and assessment of its efficacy is determined. The interim policy indicates that the County intends to survey all public access ways and post areas where OPDMDs and EPAMDs may not be used. The County recommends that trail users contact the local park supervisor to learn of trail conditions and issues especially when accessing facilities that are unfamiliar; trails are subject to natural forces and conditions may change with little notice. The County does not have set speed limits on its trails but follows the California Vehicle Code of operating a vehicle at speed commensurate with weather, visibility, traffic, surface, and width of path so as not to endanger anyone’s safety or property.